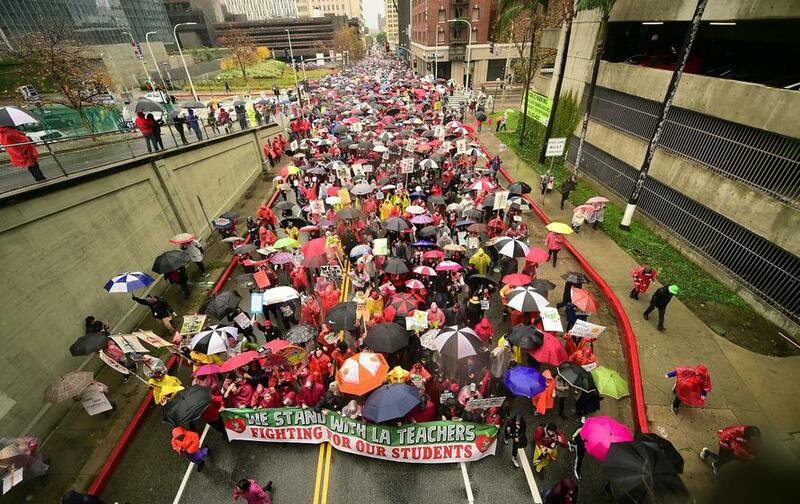 UTLA’s demands include a 6.5 percent raise that would take effect all at once and a year sooner, “fully staffed” schools with more nurses, librarians and counselors added to the payrolls, along with pledges to reduce class sizes. Negotiations have also hinged on the debate between public schools and privatizing schools through charters. The union wants to ensure that privatization doesn’t cut public school funding. “Well, we’ve tried. We’ve said repeatedly we want to do everything we can to keep school open,” he said. The district hired 400 substitute teachers and sent 2,000 credentialed administrators back into the classroom during the strike. The district also controversially loosed background requirements for parent volunteers. 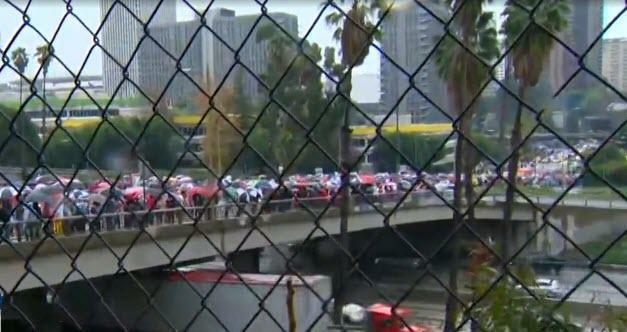 “Here we are on a rainy day in the richest country in the world, in the richest state in the country, in a state that’s blue as it can be - and in a city rife with millionaires - where teachers have to go on strike to get the basics for our students,” UTLA President Alex Caputo-Pearl said.